Millie Odhiambo says Wafula Chebukati to announce results as Nyanza will not participate in the voting process. - Bana Kenya News, Real African Network Tubanane. Home News Millie Odhiambo says Wafula Chebukati to announce results as Nyanza will not participate in the voting process. Millie Odhiambo says Wafula Chebukati to announce results as Nyanza will not participate in the voting process. Mbita Mp Millie Odhiambo has assured that the repeat polls at Homabay and Kisumu will not happen as scheduled by the IEBC. She has called out the IEBC Chairman to announce President Uhuru Kenyatta as the winner of the polls with his massive percentage. 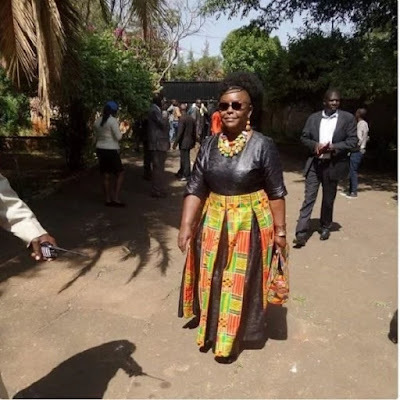 Millie said the residents will be going to church to worship - She has called on IEBC chairman Wafula Chebukati to declare Uhuru winner of repeat election and stop bothering Luo Nyanza residents Mbita Member of Parliament Millie Odhiambo has indicated residents in the four counties where repeat election was postponed to Saturday, October 28, will not vote. In a social media post, the vocal MP also called on IEBC chairman Wafula Chebukati to declare President Uhuru Kenyatta the winner and stop bothering people. Millie said the residents will be going to church on Saturday as the majority are Seventh Day Adventists. Chebukati announced that IEBC has postponed the election in Homa Bay, Migori, Siaya, and Kisumu counties after residents prevented the repeat poll from taking place. "I am a Seventh Day Adventist. Majority of voters in Nyanza are Seventh Day Adventists. The Bible precludes us from doing anything on Saturday. Meanwhile, you told us to mind our business which we did. Mind yours and announce Uhuru as President. We are operating under Article 1 of the Constitution," Millie said. The MP said that Uhuru Kenyatta can be declared because the votes that Raila Odinga got as well are ballot papers marked by the IEBC officials themselves. "The IEBc need to re-think because the rest of the people who did not come out to vote are NRM members. we are just watching and adding up numbers, I believe we have so many members in Kenya," she added.